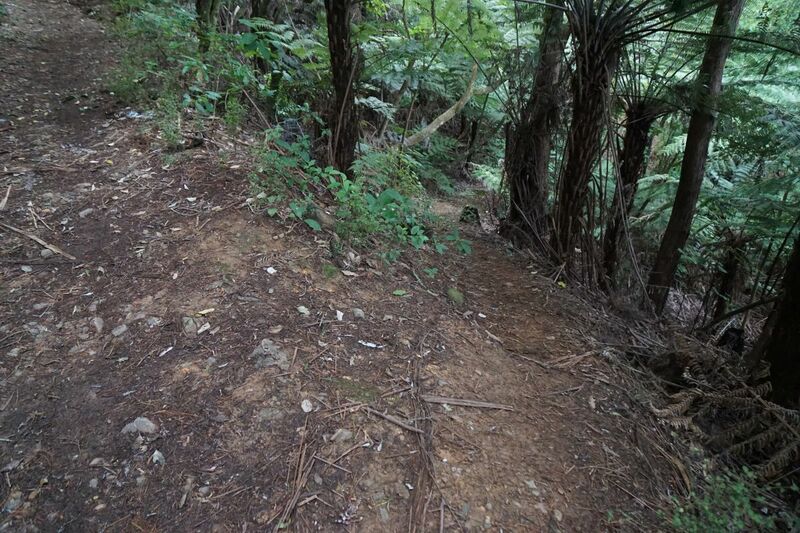 The Pylon Peak Track in the Waiorongomai Valley was opened up in 2015 and currently does not appear on the DoC web site or signs in the area. The track branches off the Low Level Pack (or Low Level Drive) Track near the end of Waiorongomai Road, crosses the Waiorongomai River, climbs to a ridgeline which it follows before climbing quite steeply to the Pylon Peak and joining up with the Kaimai Ridgeway Track (formerly the North-South Track). 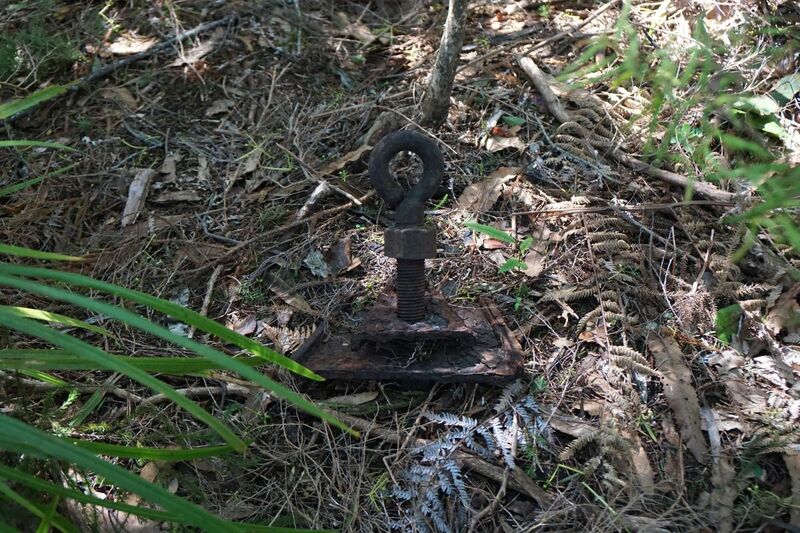 There are still a few remains of the steel power pylons which were used for the power line linking the Horahora hydro-electric power station with the Waihi gold mine and Victoria Battery in the Karangahake Gorge. The power station was the first large power station on the Waikato River and on the North Island, built in 1913 and commissioned in 1914. The power station was sold to the Government in 1920, expanded, supplying power to Paeroa and further afield to Cambridge, Hamilton and Auckland, before being submerged by Lake Karapiro after the Karapiro Dam was completed in 1948. 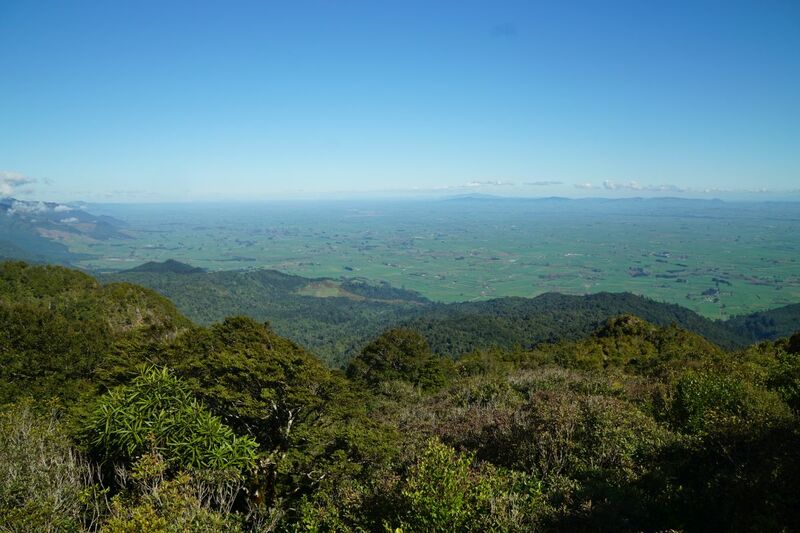 There are extensive views of the Waikato from the junction of Pylon Peak Track and Kaimai Ridgeway Track. The vegetation around this location is quite low, allowing for the expansive views. 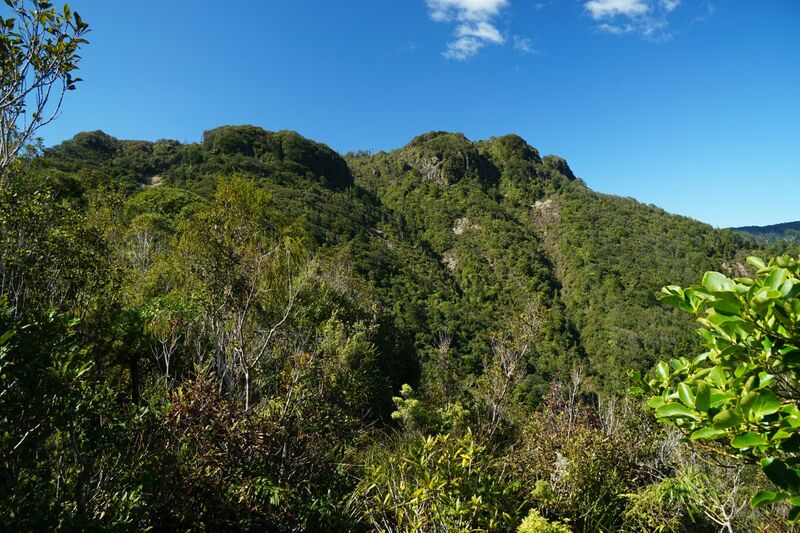 This walk continued on for a short distance south-east on the Kaimai Ridgeway Track to the summit of Pahiko, but unfortunately there are no easily accessible views from this rocky outcrop. 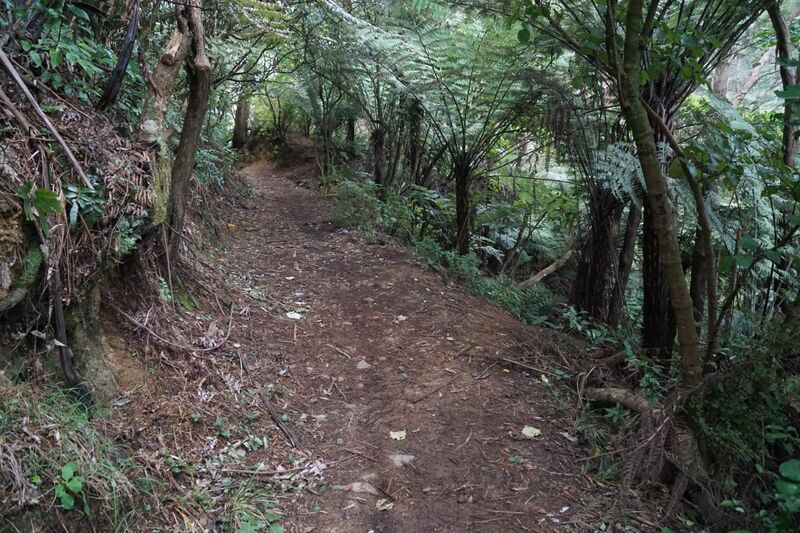 The return to Waiorongomai Road followed the same Pylon Peak Track down. 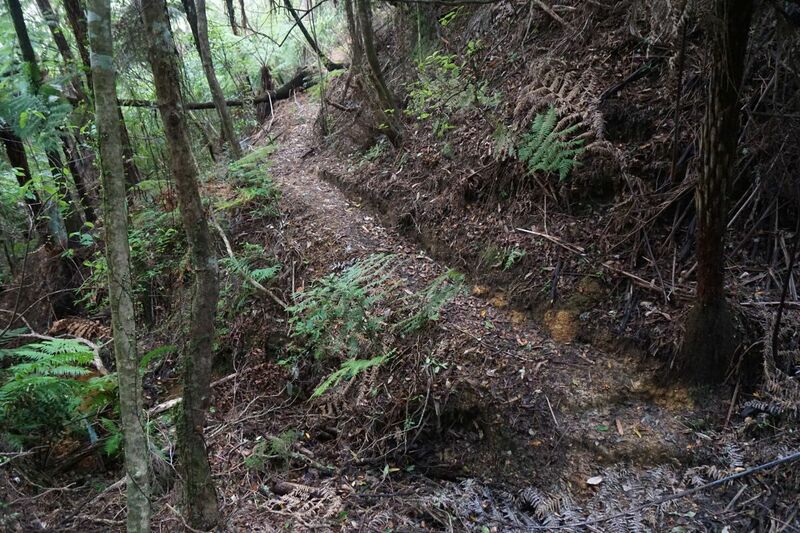 The upper part of the track, which is steep and rough, and muddy in places, follows the track from Kauri Grove Track to Kaimai Ridgeline Track. The remainder of the track down to Kauri Grove Track (see the GPS tracklog map) was not visible, and has possibly been closed. 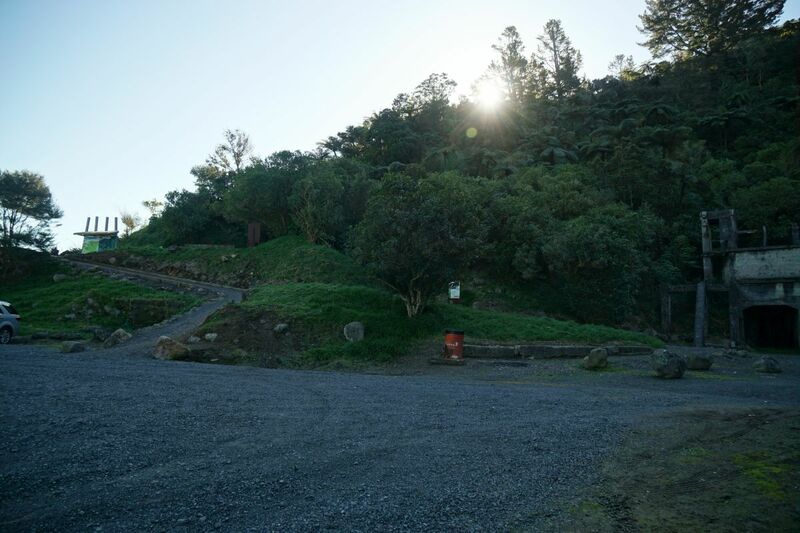 There is a parking area at the end of Waiorongomai Road, with some basic DoC toilet facilities at the start of the Low Level Track. The parking area with the remains of the old rock crusher on the right, and the track leading up to the information panel and the start of the various tracks, including the Low Level Track, on the left. 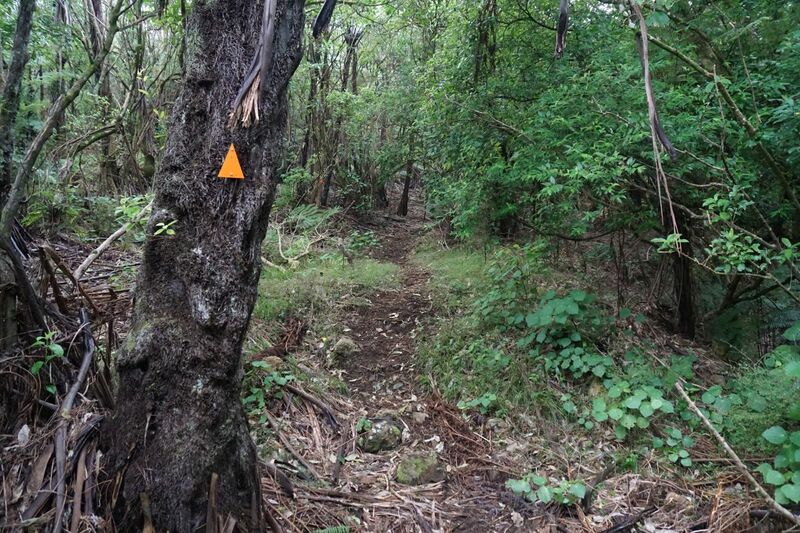 The start of the Pylon Peak Track is currently unmarked. 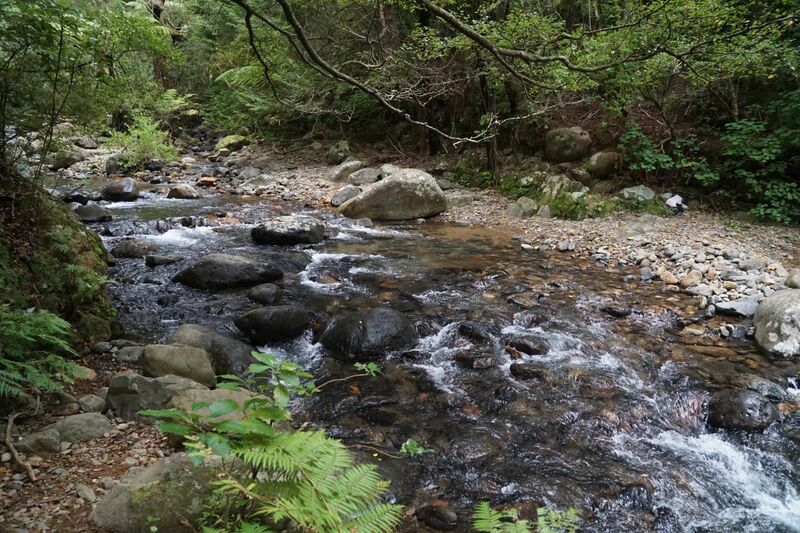 It branches off Low Level Track about 150 metres from the start, between the ponga to the right, down to the Waiorongomai River. Added December 30, 2017: There is now a sign on the Low Level Track indicating the start of the Pylon Peak Track. Looking from Low Level Track (continuing at upper left) down Pylon Peak Track towards the river. The river crossing location. There is a swimming hole off the photo to the bottom right. It was possible but a bit difficult to cross with waterproof ankle boots without getting wet feet with the river at this level. Someone walking the track left their beach shoes on the far side, ready for the return crossing. Looking back across the river after the crossing. The track up the river bank to Low Level Track is to the left. The track is well marked with orange DoC markers, and has apparently already become popular, judging by the state of the track. 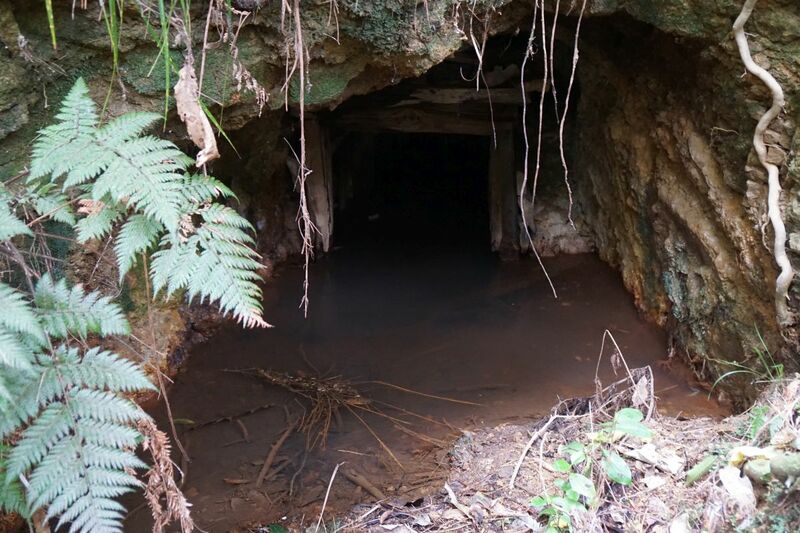 There are a few signs of mining activity along the track, including a short section of water race, with the race continuing in a tunnel through a ridge. This is the exit from the tunnel. 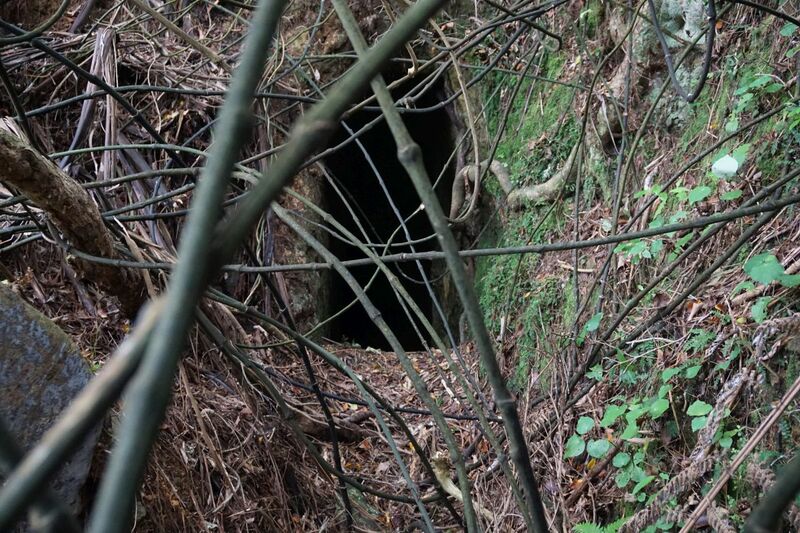 And this is the entrance (highest point) of the tunnel. Much of the first part of the track is benched and has a gentle gradient, zig-zagging up the hill to the ridgeline. The track follows the ridgeline for some distance at about 350 to 400 metres altitude, with levelled pads where the pylons were located. Occasional remains of the pylons can be found alongside the track. 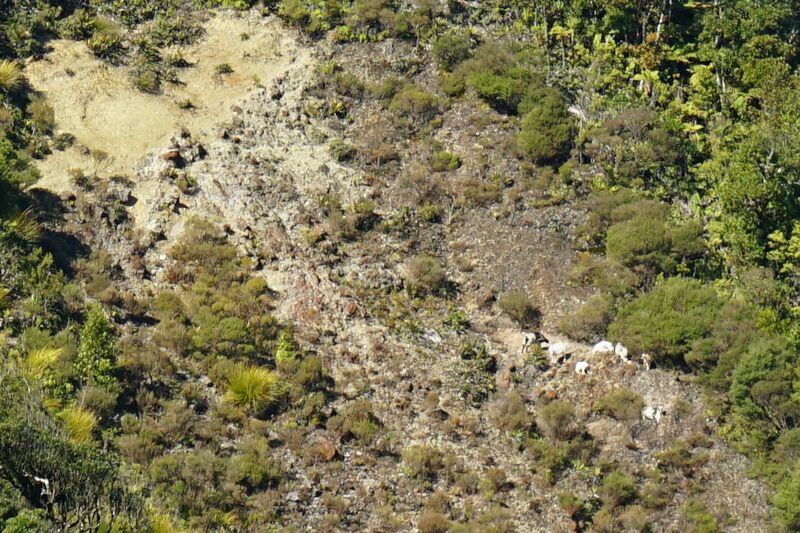 More extensive remains are found on or by the track on the climb to the junction of Pylon Peak and Kaimai Ridgeline tracks. Occasional view shafts provide views to the surrounding area. 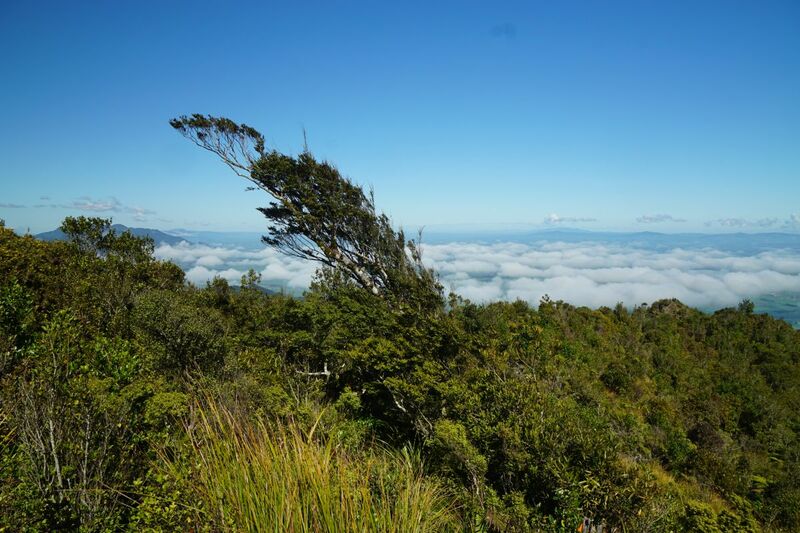 Here a view through trees and bushes to the mast on the summit of Mt Te Aroha. 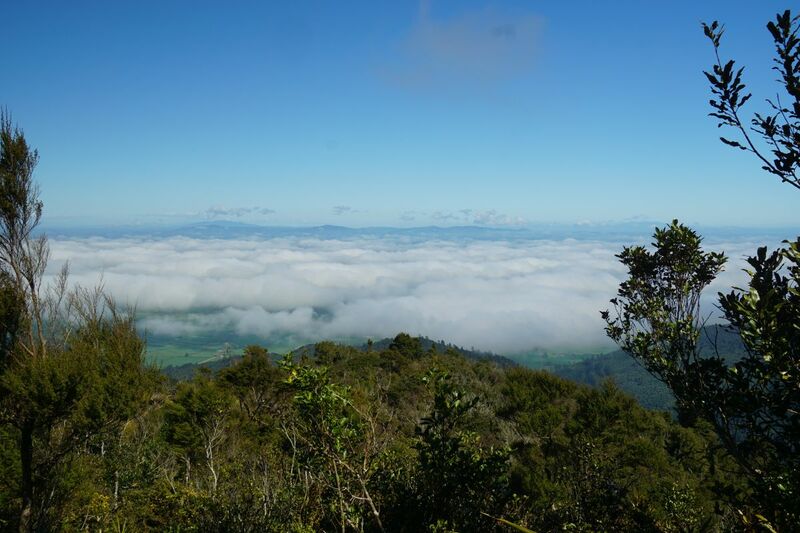 There was low cloud covering most of the Waikato, with the last of it not lifting until well into the afternoon. Here looking to the south-west. 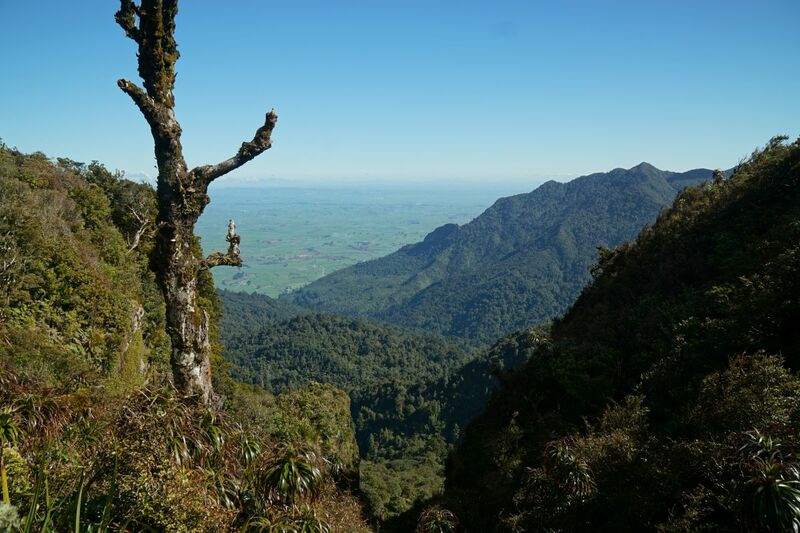 Looking south-east along the Kaimai ridgeline. 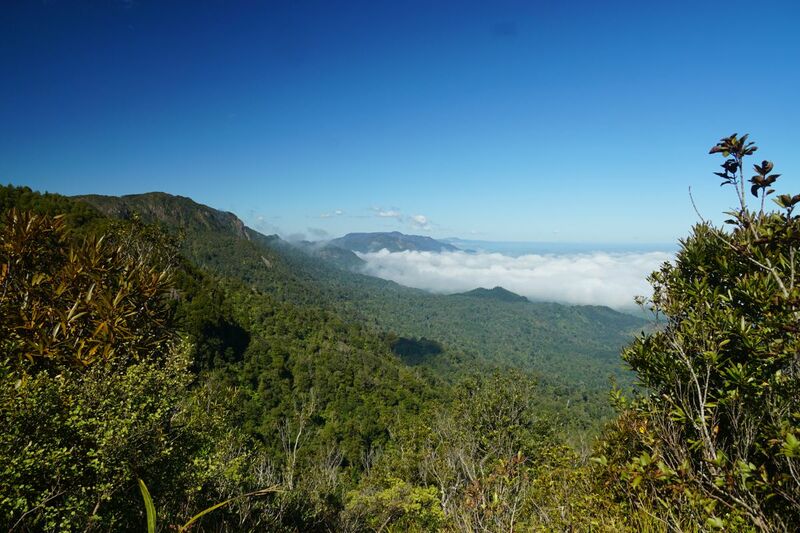 View to the north-west from near the junction with Kaimai Ridgeline Track, with the summit of Mt Te Aroha to the right. The vegetation near the summit made the direction of the prevailing winds quite obvious. Pahiko is the peak to the right, with a slip on the hillside below it. Goats were grazing and resting in the sunshine by the slip below Pahiko peak. 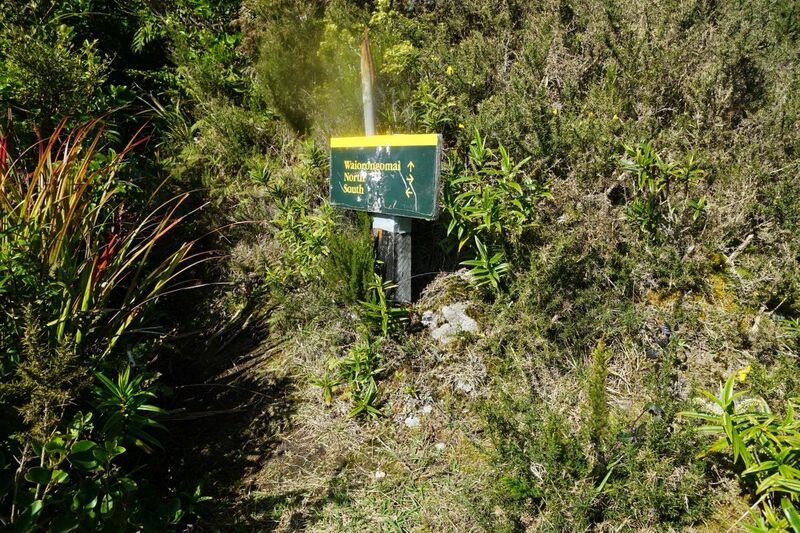 The sign at the junction of Kaimai Ridgeline (North-South) Track and Pylon Peak Track. Pylon Peak Track continues downhill from the junction between the two rocks on the right. View down the valley near the summit of Pahiko. By this time most of the low cloud had disappeared. View across the Waikato from the track junction after the low cloud had dissipated. 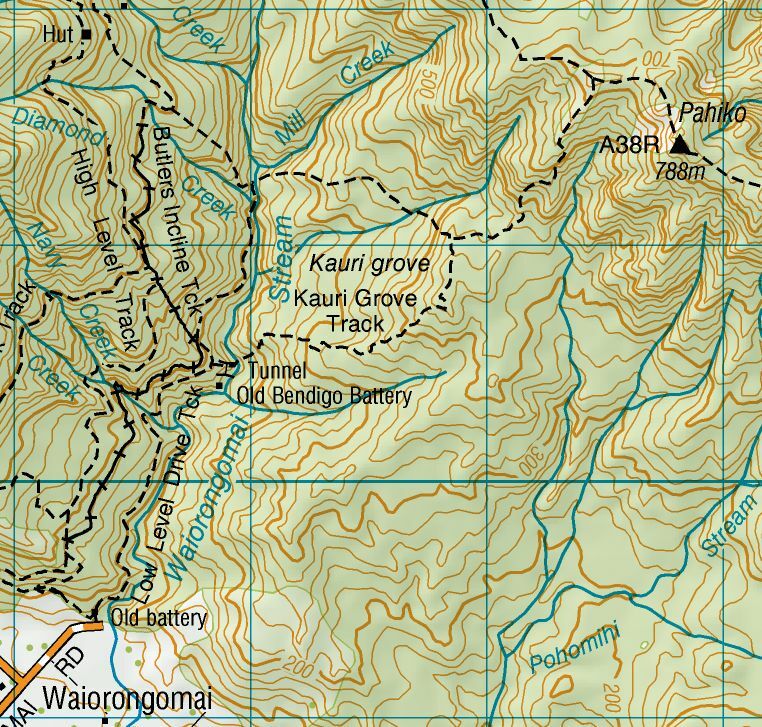 The GPS tracklog shows the tracks walked and the location of some of the other tracks in the Waiorongomai Valley. 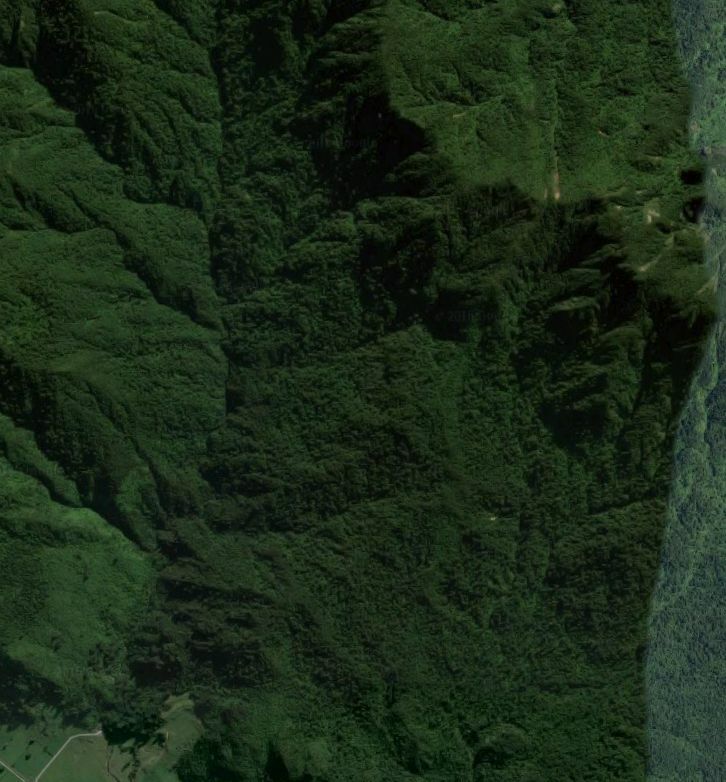 The track shown as joining the Pylon Peak Track and the Kauri Grove Track is no longer visible and there is no obvious or marked junction of the two tracks. Added December 30, 2017: There is still no marker at the junction of the two tracks, but it is possible to locate the track. 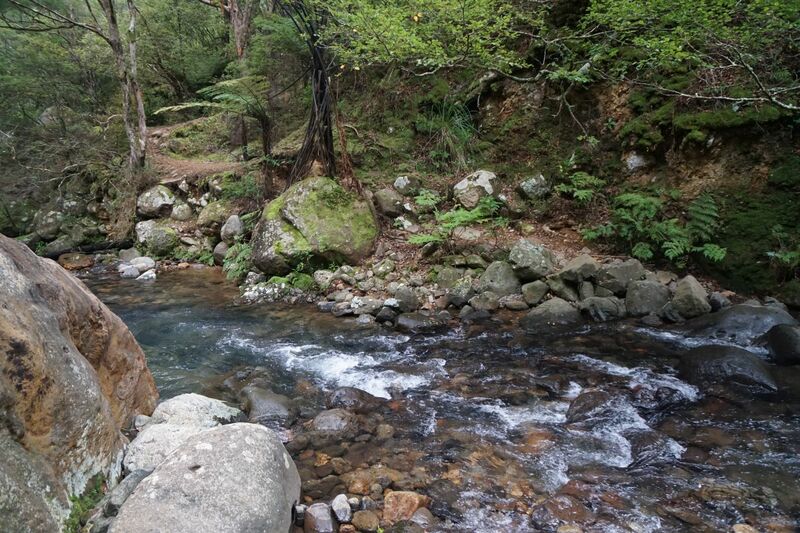 On this walk the return was done on the joining track and the southern branch of the Kauri Grove Loop Track. These tracks are not well marked, and very steep and overgrown. 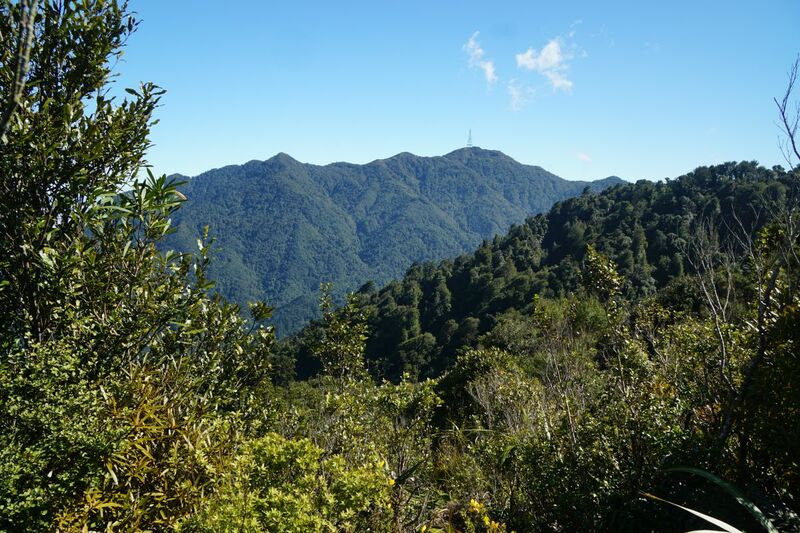 Carpark to junction with Kaimai Ridgeline Track: 4.4 km and 2 hours 35 minutes. 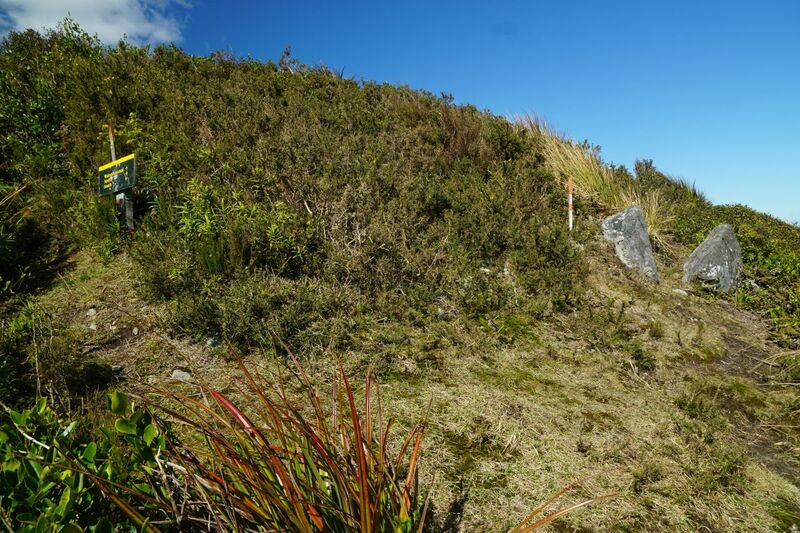 Junction to Pahiko summit: 650 metres and 25 minutes each way. Junction to carpark: 4.4 km and 1 hour 45 minutes. Lowest point is at the carpark, at about 60 metres above sea level. 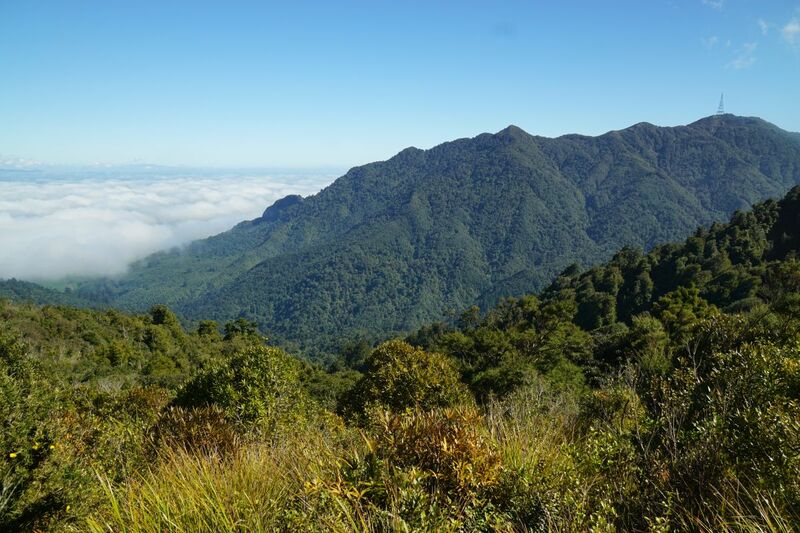 The track junction is at about 730 metres above sea level, and Pahiko summit is noted as 788 m asl on the topographic map. The Pylon Peak Track is not shown on the topographic map. Satellite image of the same area as the maps above, taken from Google Maps. The track was walked on August 31, 2016 and on December 30, 2017. 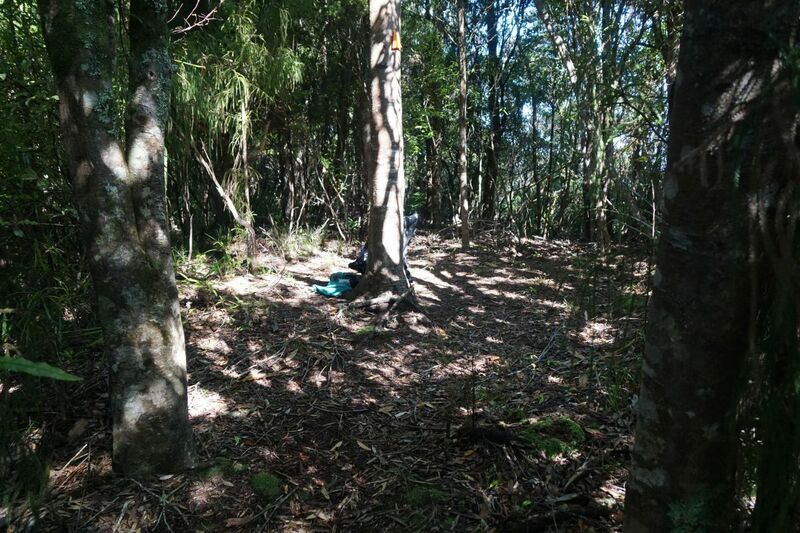 This entry was posted in Walks and tagged Horahora, Kaimai Mamaku Forest Park, Kaimai Ridgeway, Te Aroha, Waihi, Waiorongomai on 2016-09-01 by nzartig.